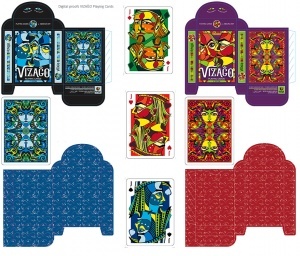 The artwork for VIZAĜO was almost a year in the making, followed by two months (2 campaigns) on Kickstarter, and then, just under 5 months in pre-production and printing. 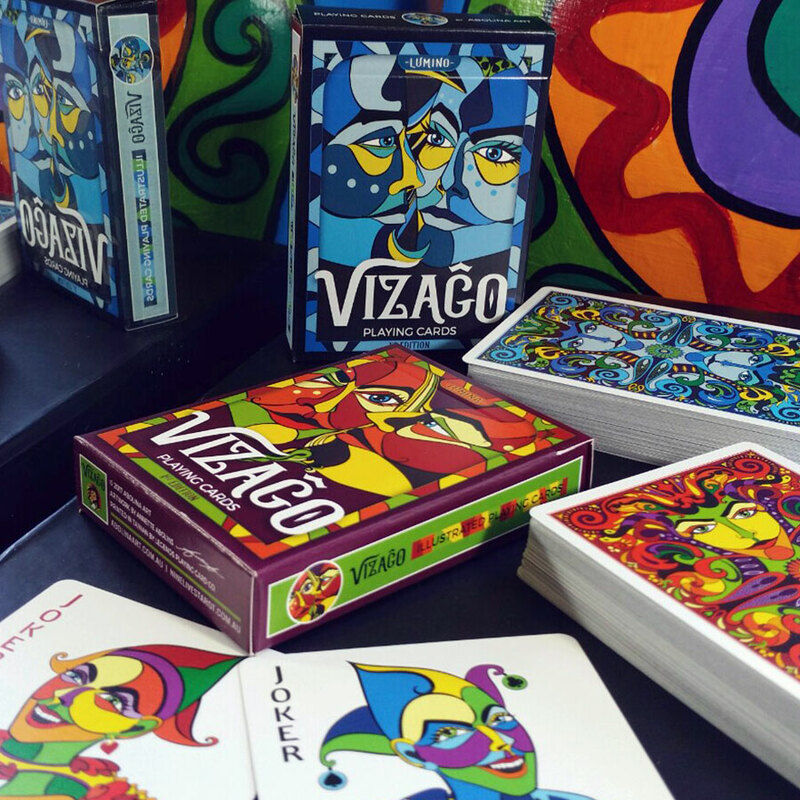 The completed decks arrived hot off the press just in time for Christmas and the holiday season. The journey from artwork to the finished result has been and exhilarating ride, full of learning and ever so helpful support from amazing people around the world, I cannot thank you all enough for coming on board and making this happen! 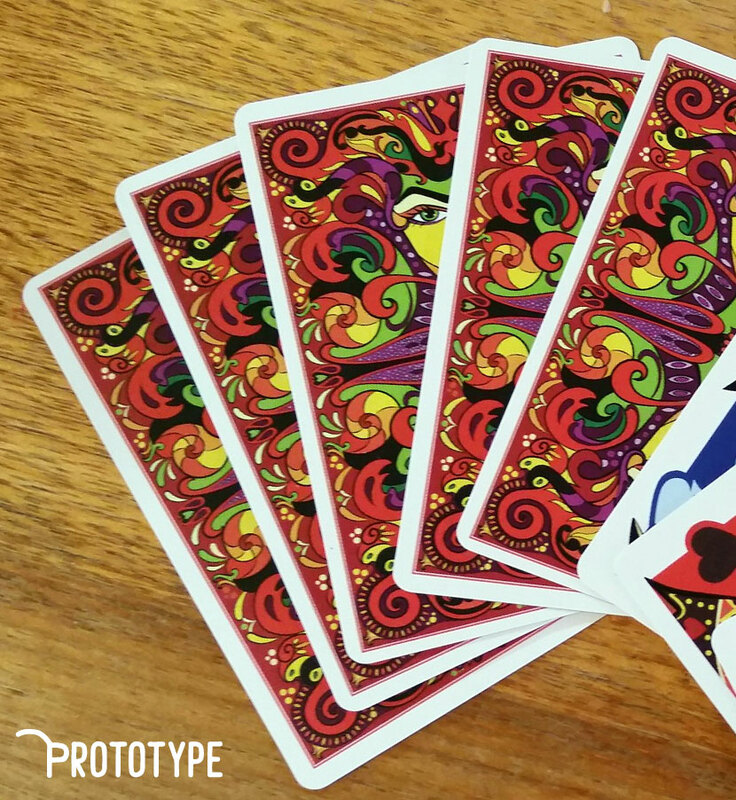 I wanted to share a little comparison in pictures – the first one showing cards from the prototype deck (printed by MPC) … to be fair, I have seen far worse than the slight variations in the prototype deck – but the difference is amazing when you have evenly cut cards. 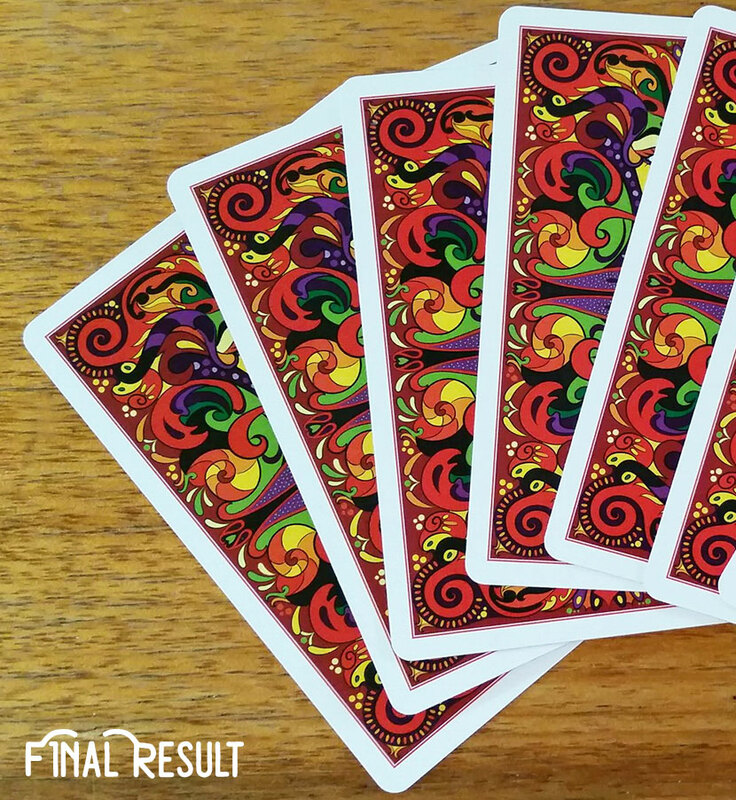 This second photo shows the final result, printed by Legends – where the artwork is fully centred, cards are cut to perfection and colours are bright and full of life. Where to Buy … and can I get a signed deck? 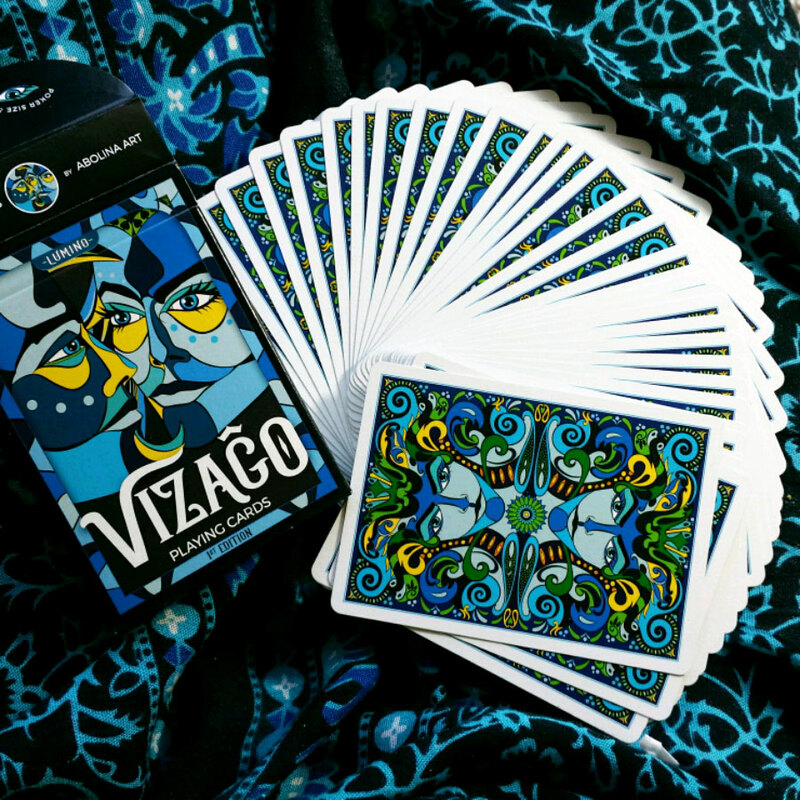 A limited number of VIZAĜO decks are available on my Nine Lives site (where you can find my other decks and original stoneware pendants). If you live in Australia and missed the campaign on Kickstarter, you can get your deck(s) directly from me and save on shipping. 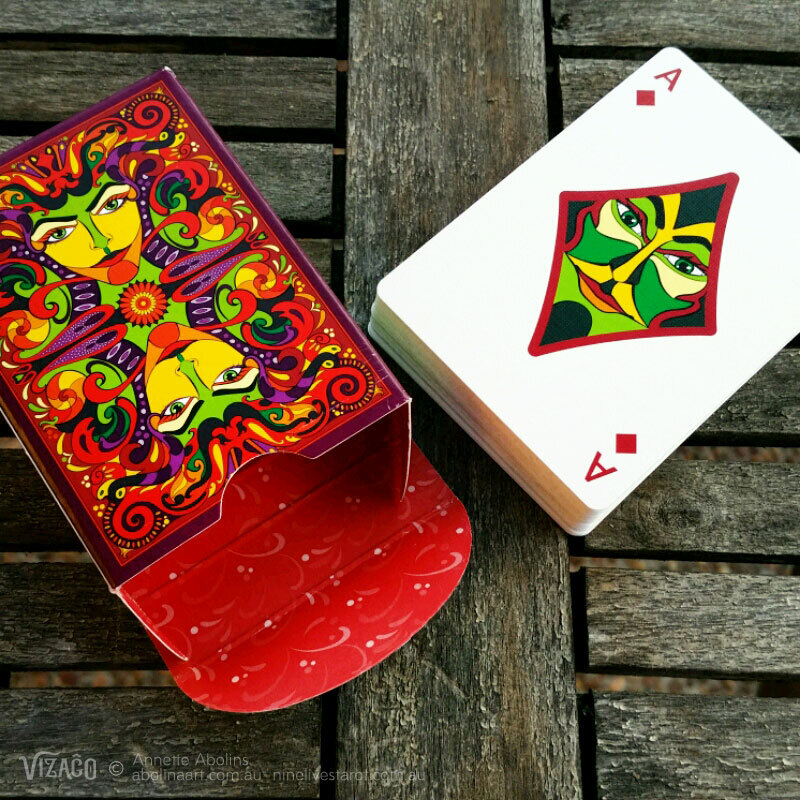 I am happy to sign decks for anyone who orders from my Nine Lives store and would enjoy their deck(s) to be signed (just make sure to let me know if you want the signature on the outside of the cello-wrap, or on the actual tuck box). Thank you for visiting – and Happy New Year to all! So many wonderful reviews and articles! Sitting here with the deck in my hand, I can confirm that all the positive comments are well and truly deserved. 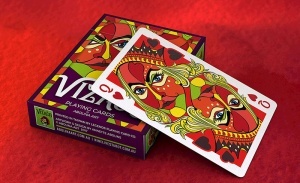 A beautiful deck of playing cards. Thank you so much, absolutely lovely to hear!